Crystalens is a brand new technology that enables its user to focus on all ranges of vision (near, distant and middle). In other words, Crystalens is a technology that imitates the natural vision of the eye. It is used usually after cataract surgeries so that patients’ dependency on prescription glasses or contact lenses can be eliminated completely. 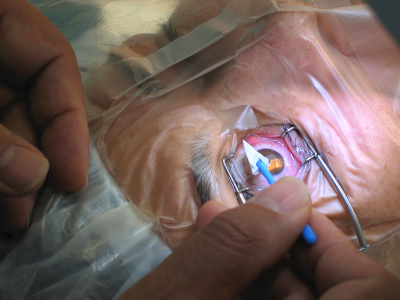 Crystalens surgery in Detroit can be performed easily on anybody who has a cataract. The surgery involves removing your natural lens and replacing it with a new IOL. The intraocular lens functions same as a natural lens and corrects any distortions in the vision after a cataract surgery. Traditionally intraocular lenses used to offer only one distance of vision. They were called monofocal lens. A monofocal lens requires correction in the form of eyeglasses so you can see other distances. However, these days there are IOLs that offer multi distance visions. These lenses limit or sometimes completely eliminate the need for eyeglasses. A common trend today is to opt for ResTor lens in Detroit. These are multifocal lens and can offer multiple ranges of vision. To receive the optimal outcome, you and your eye surgeon may have to do some 'mix and match' to decide what type of lens is optimum for you based on your work and the vision ranges you use most. In some cases, a Crystalens may be used in one eye, and a multifocal such as ReSTors or Tecnis may be preferred. The an additional advantage of undergoing a crystalens cataract surgery is that it completely eliminates any further possibilities of getting a cataract. With crystalens implants you can say goodbye to your reading glasses for lifetime. Crystalens will help you read without using any glasses. Occasionally you may require glasses for reading, especially in low light or for very fine print. You can undergo Lasik surgery in Detroit for your non cataract eye to create a balance in vision and completely eliminate the use of prescription glasses. Crystalens can also be used to correct other vision disorders such as presbyopia. The surgery is easy and absolutely pain free, which has made it a preferred medical solution among many. Crystalens is a one time fix to all your eye problems. Crystalens is specially designed to obtain a near perfect range of vision after undergoing a cataract surgery. There is a very good chance that your vision might be corrected to 20/20 for distances as well as reading.